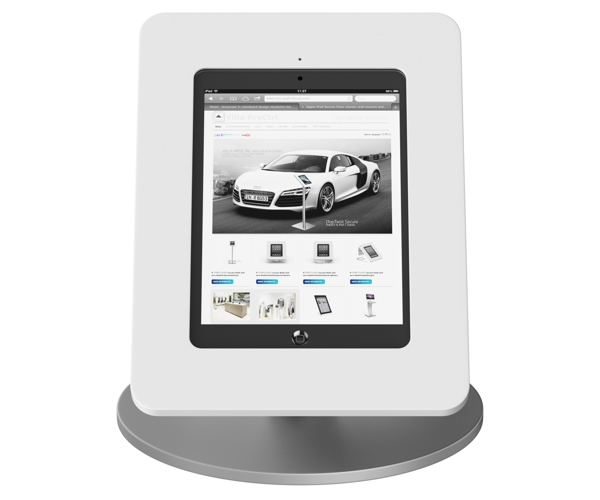 The iTop Secure Counter Stand in combination with the iPad is ideal for product presentations at service desks, retail, hotel receptions, showrooms and expos. 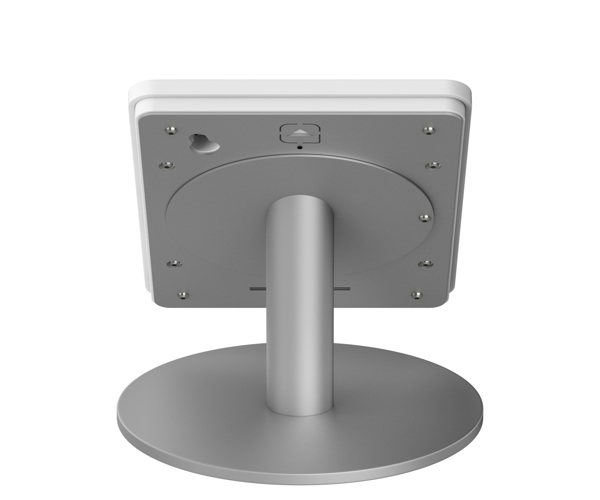 Counter Stand with integrated docking for the Apple iPad connector and cable. Its frame is constructed out of high quality anodized aluminum. 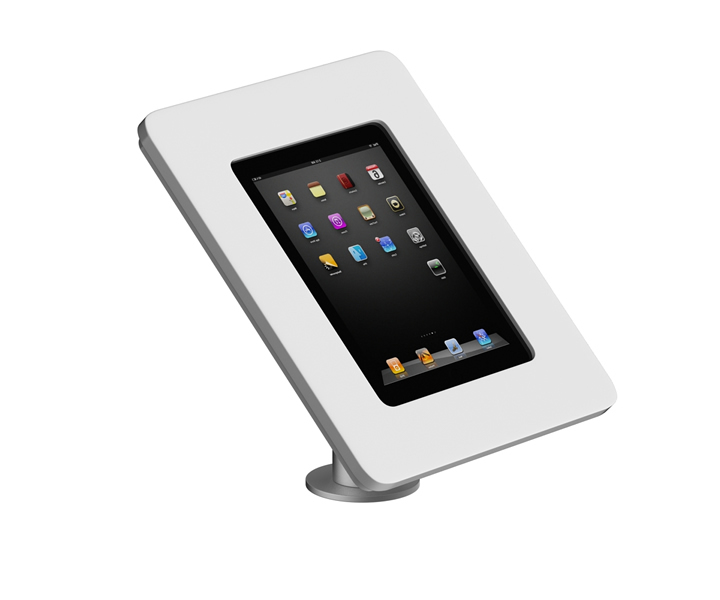 The top IPad holder is made of a very though solid surface composite (Corian). 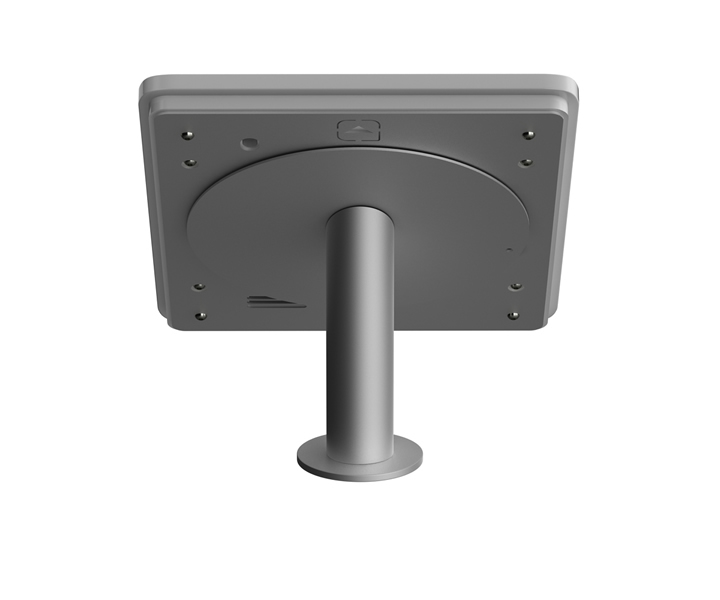 The top is 90 degrees rotatable to allow for either portrait or landscape presentations. 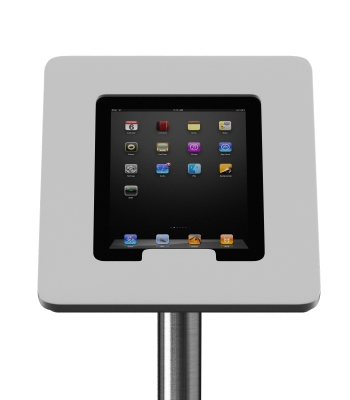 Futhermore the stand has an anti theft lock system to secure the top and iPad to the frame. 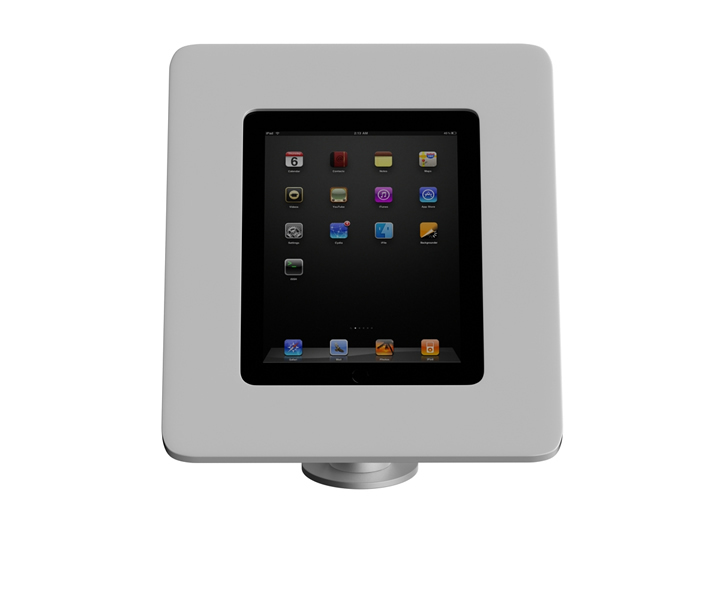 A sound port is integrated , a reset option for the iPad while in the holder and the headphone connection is available. 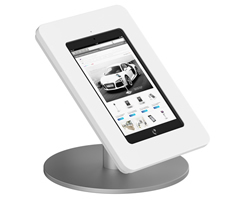 "Exceptionaly well built - like a tank", "It looks even better in person", "Wish I found this earlier", "Best iPad Stand around", "If anything, your product is over-engineered", "Premium design, quality and customer service", "We love the clean design"
iPad holder with or without home button cover? 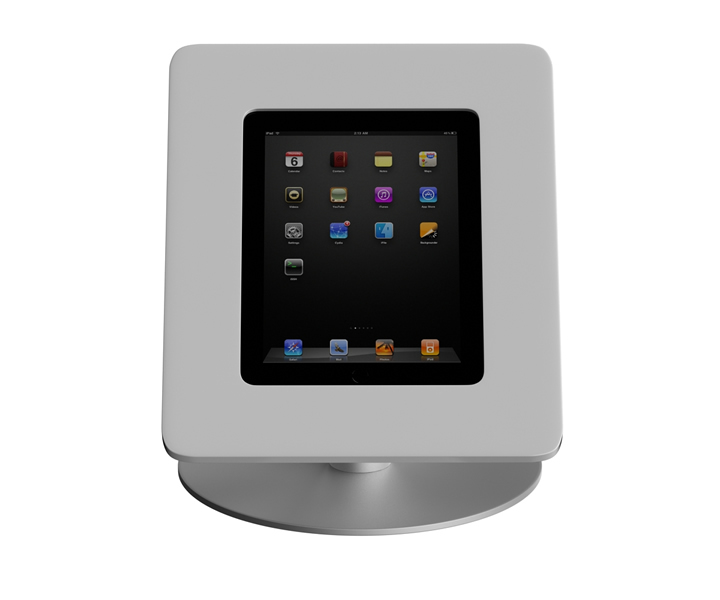 The iTop Twist is available in two hardware versions: with the home button covered or open. Since the new software update IOS 6 (by Apple September 19th 2012) you can cover the home button inside the software. 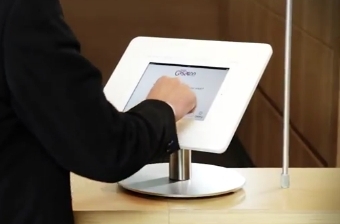 Starting from now on you only have to order the open cover model. 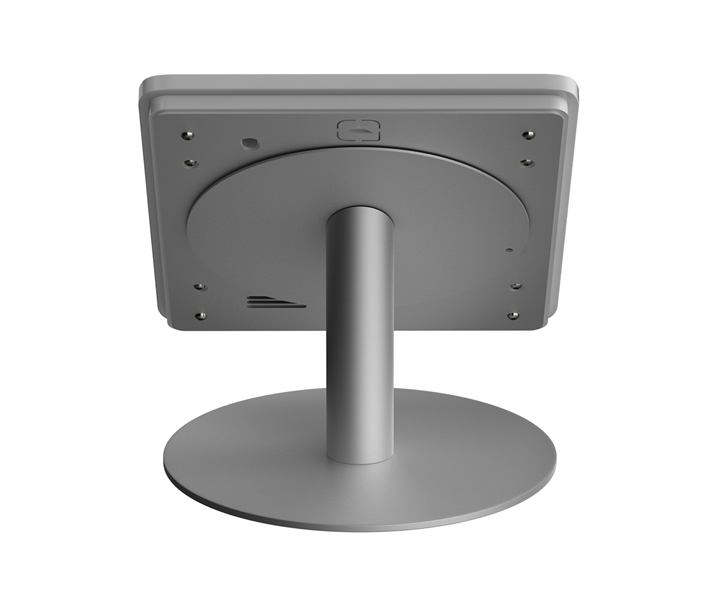 The iTop Twist iPad stands are compliant with the Americans Disabilities Act through the 2010 ADA standards for accessible design as published in the Federal Register on September 15, 2010 . These final rules will go in effect on March 15, 2011. 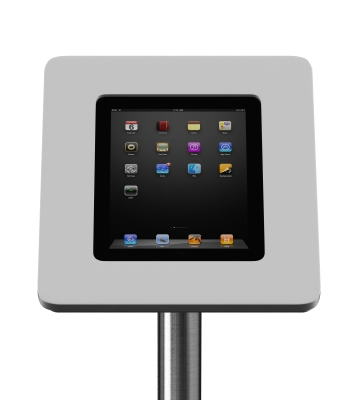 You can find a link to the ADA2010 Standards here.